Sweetheart Neckline Jewel Bodice Chiffon Evening Dress | Sung Boutique L.A. Glamorous evening dress in a timeless silhouette features sweetheart neckline, embellished bodice, and a fit and flare chiffon skirt. A hight-cut side slit for sure to catch attentions. 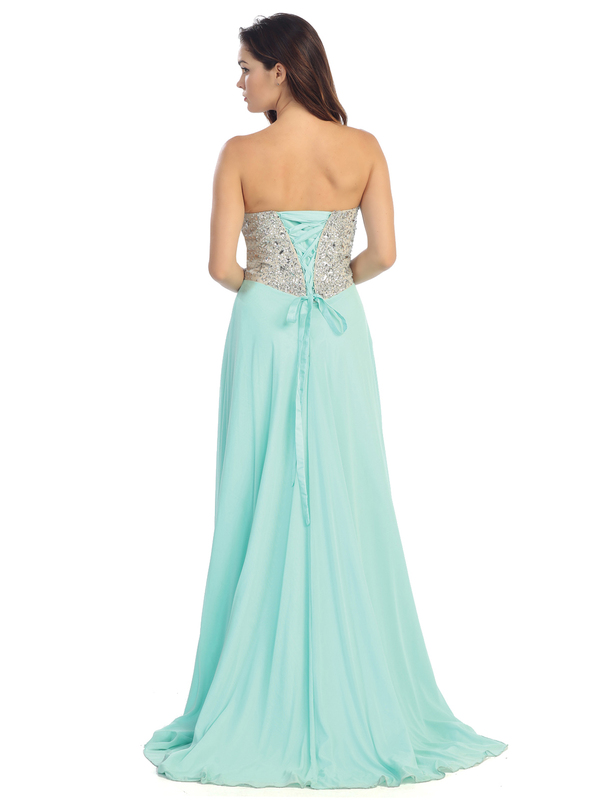 A great evening dress for prom or in black for formal black-tie events.